Coopers Auto Repair Specialists is a trusted Toyota Hybrid Repair shop boasting experienced technicians and state-of-the-art diagnostic equipment and work tools. Keeping your car in top-notch condition is our foremost concern and we are yearning to work our magic on your Toyota Hybrid cars. That you are riding a Toyota Hybrid means you have made the decision to contribute your own quota towards curbing environmental pollution. 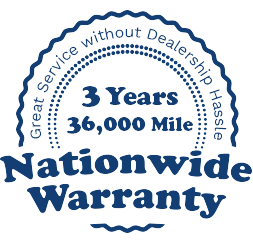 We truly admire your commitment and it would only be fitting to have a local auto repair shop to attend to your repair and maintenance needs. Coopers Auto Repair Specialists is the auto repair shop you have been looking for. Our wealth of experience in the routine maintenance and repair of Toyota Hybrid cars is unmatched. We boast technicians that have an unrivaled dedication towards ensuring your car is in top-notch condition and leaving smiles on your face. Coopers Auto Repair Specialists is a trusted auto repair shop with appropriate licensing from the concerned regulatory authorities. We are proudly a NAPA AutoCare Center and we also carry the AAA approval. Our technicians are also duly certified by the National Institute for Automotive Service Excellence. To further prove our commitment towards taking care of your Toyota Hybrid cars in Tacoma, WA, our auto technicians have an additional qualification from the ACDC. The qualification renders them eligible to provide auto care for Hybrid cars and they would be glad to help you with your Toyota Hybrid Repair needs. As a qualified Toyota Hybrid Repair outlet, we boast the best diagnostic equipment and service tools that are needed to handle complete repair and maintenance services on your Toyota Hybrid vehicles. It doesn’t matter whether you are driving a Toyota Auris, Toyota Rav 4, Toyota Prius Plug-in Hybrid or any Toyota Hybrid model at all, our expert technicians are quite skilled in Toyota Hybrid repairs and we would provide the perfect solution to your auto care needs. Our Toyota Hybrid repair services come with a guarantee of 36,000 miles or 3 years. Rest assured, there is no better place for your Toyota Hybrid repair in Tacoma. We would be glad to have you at our auto repair shop at 5315 122nd St E, Tacoma, WA 98446. You could drive by at any time or give us a call on 253-466-3917 to fix an appointment. We already have an illustrious list of satisfied clients but the list can’t be complete without your name on it.